That’s the question thousands of angry, heartbroken people ask every year in the wake of an affair. I you’re asking now what? You’re not alone. 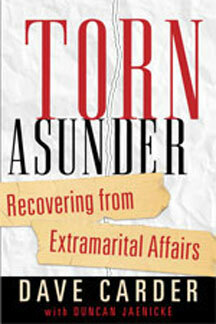 Tens of thousands of readers have made Torn Asunder a bestseller (more than 100,000 sold)—and they have benefited from its wise counsel. Healing won’t be easy. But Torn Asunder can provide hope, encouragement, and advice on the journey. Take the first step today.